If you torrent regularly without the protection of a VPN, you can quickly get into trouble. Scroll below to see why torrenting without a VPN is a bad, bad idea. Let’s get it out there right now, torrenting in most situations is an illegal activity. While we do not condone it, we simply have to recognize that this is one of the main reasons people use VPNs. If you are the average person who may regularly illegally pirate a movie or album then you really need a VPN; even if you occasionally participate in torrenting this is a must. In fact, not protecting your IP and covering your tracks online as a regular torrenter would be grossly irresponsible. 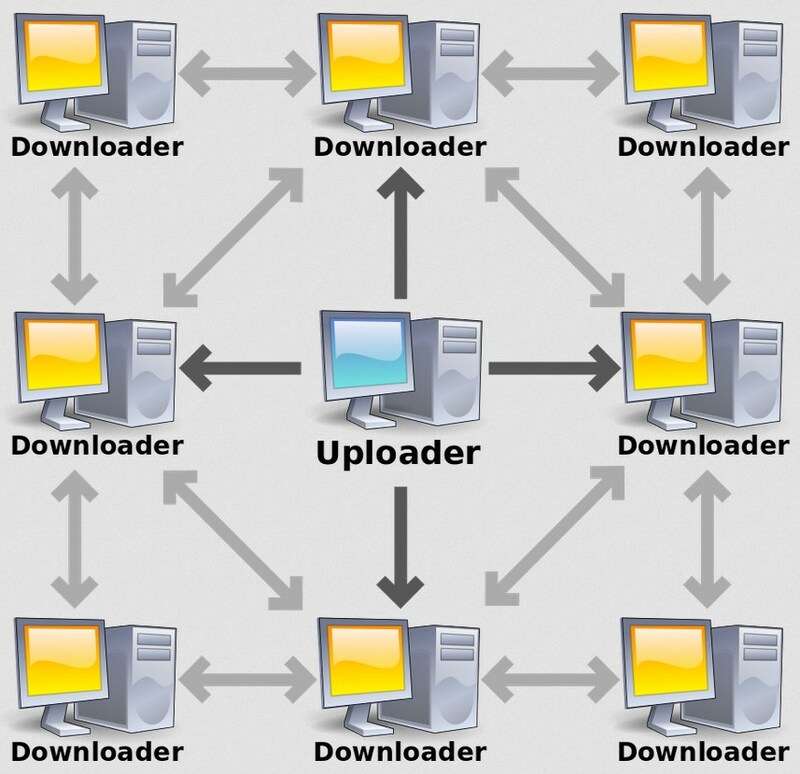 Torrenting (BitTorrent) is a widely popular file sharing protocol that has its basis in peer-to-peer technology. It allows a large network of users to connect and share content, typically pirated movies and other stolen content, without having to rely on a single source for downloads. Torrenting exists because companies who hold rights to these works are quick to shut down sites that host their files for downloading. When a network of thousands or even millions of people across the globe are all chipping into one user’s download, it is impossible for these companies and rightsholders to stop it from happening. Whether you are in the mood for downloading movies, an entire TV series, or the latest video game, torrenting makes this possible. Although it is easy to do, it is also very easy to get caught, particularly if you are a prolific participant in torrenting and are not careful. It has many inherent risks and if you want to do it, you need a VPN—this is not an option. What Happens If I Torrent Without a VPN? As we mentioned earlier, torrenting’s backbone is peer-to-peer networking—for torrenting to work, multiple PCs and devices are connected and share resources with one another without having to go through a separate server or network, e.g. a download site’s servers. While peer-to-peer networking is pretty nifty, it is also incredibly dangerous when you don’t take the right precautions. When participating in torrenting, your information, including your IP address, can very easily be found out by anybody else who is part of the peer-to-peer “swarm” who is sharing the same torrent as you. This may not sound too sinister. However, there is a lot more to it than that and it is not necessarily hackers you need to worry about. Government agencies, your ISP, and snoops—bots whose purpose is to simply harvest IP addresses—can find out your IP and, if you are unprotected, you can easily be traced back to. Your entire torrenting history is available to the public. Don’t see how this is a problem? If you have participated in any form of torrenting recently without a VPN, head on over to iknowwhatyoudownload.com and see for yourself. If you have a static IP address–you most likely do–you will see a list of activities that have been logged. Everything you’ve downloaded on your server is ripe for public viewing. One of the biggest dangers of unprotected torrenting isn’t an immediate threat and is likely something that will come to haunt you many months down the line after being caught. Today, lots of popular torrents of copyrighted content are regularly monitored. By not hiding your identity, you are basically inviting your ISP to send you threatening letters or for the copyright holders to bring proceedings against you. Even a single trace of downloading torrent files that are protected by copyright laws can lead to anything from the termination of your internet service to cease and desist letters to fines – including jail time. When using a VPN, your ISP and other parties cannot see what you are doing. While they can see the data transfer, they cannot see where it is going to or coming from. This prevents them from being able to identify the copyrighted material and thus you cannot get into trouble for it. Although torrenting itself does not pose an immediate danger, it does expose you to the risk of hacking attempts if you don’t have protection from a VPN. As we have already mentioned, torrenting unprotected exposes your IP address and, in many cases, other pieces of data. This is especially true if you connect to an unsecure public WiFi network. When you are behind a good VPN that does not leak information, nobody can see your IP address, who you are, or get access to any of your data. Over time, your information will be collected and pieced together. Everything will be used to the advantage of a hacker. Your name, date of birth, address history, email addresses, and online banking information can all be exposed without your knowledge. Once people have access to this data, there is no telling how much damage can be caused. By far the best way you can protect yourself while torrenting is to use a VPN. A VPN works by encrypting all your traffic before it leaves your network and sending it to its destination through an encrypted tunnel. That’s not all. Your traffic is also re-routed through one of the VPN service’s servers–one you have chosen–that changes your IP address to the same one being used by hundreds if not thousands of other people. This adds an extra layer of anonymity by covering your IP address and also prevents your data being compromised by encrypting it. When you are connected to a VPN service that is fast, secure, uses the latest standards in encryption and tunneling, and does not leak any information, you are protected. Nobody can see what you are doing or who you are, and not even your ISP can eavesdrop on your connection. After testing 100+ VPNs in the market, we can say that these are the 4 VPNs that we know are best for fast torrenting safely and securely. With a network that spans over 62 different countries and over 5,000 servers, NordVPN is naturally the best VPN service when it comes to torrenting. All their servers are fast, so your files will download quickly should you also have a fast internet connection. Torrenting is allowed on all NordVPN’s servers and they also have servers that are specifically optimized for torrenting. With AES 256-bit encryption used alongside OpenVPN, there is no chance of your data or information being revealed when you are connected to the network. Should your connection to NordVPN stop, the kill switch will step in and terminate your connection to a peer-to-peer network. During our comprehensive review, we also found that it did not leak any IP or DNS information. You can try NordVPN free for 7 days and there’s also a 30-day money-back guarantee. Although ExpressVPN usually tops the list of any VPN review, it comes in second here for two reasons—first, NordVPN has a larger network of servers and second, NordVPN is cheaper. Again, all these servers are fast and can be used for torrenting. 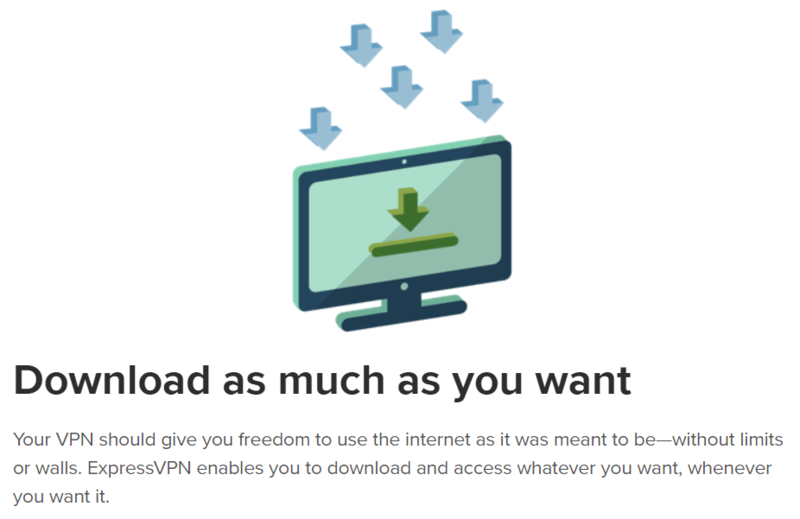 One place where ExpressVPN comes out on top of NordVPN is location choice—ExpressVPN offers servers in over 90 countries whereas NordVPN offers them in just over 60. More servers mean that there is more choice for users located in different parts of the world. All traffic is encrypted using AES 256-bit encryption alongside the OpenVPN tunneling protocol and no leaks were found during our testing. Although they offer no free trial, you can try ExpressVPN out risk-free with their 30-day money-back guarantee. PIA is another great option for torrenting that comes in at almost half the price of NordVPN and ExpressVPN. For $6.95 on a month-to-month subscription or $2.91 per month when purchased for two years, PIA will provide you with a strong, torrent-friendly server network that spans all across the world. A great all-around VPN that is still relatively unknown is Windscribe. 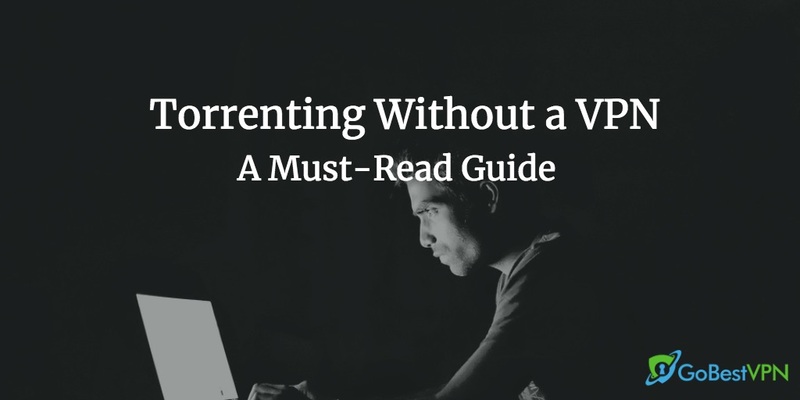 Like the other VPNs on this list, Windscribe supports torrenting and its large and fast server networks allow you to download files quickly, safely, and securely without any hassle. If you are a fan of aesthetics and user interfaces, you will be a big fan of Windscribe—a lot of thought has gone into both their website and app, both of which are a breeze and joy to use. When we tested out Windscribe, we did not detect any IP or DNS leaks and we were very impressed by how well their servers performed overall. Their strong firewall will also prevent anything from falling outside the network even if a leak did occur. With a free trial on offer for new users, there is no reason why you shouldn’t consider Windscribe. It is, however, a newer brand than the three mentioned above.